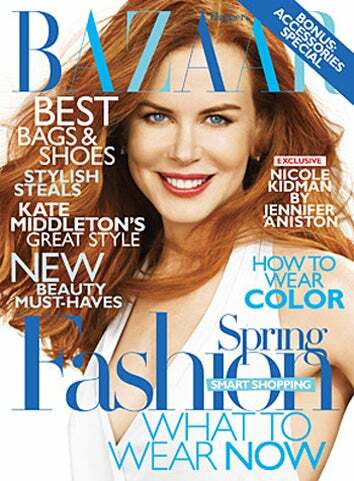 Nicole Kidman is on the February cover of Harper's Bazaar, and inside, she is interviewed by Jennifer Aniston. (They're both in that new Adam Sandler flick.) Nic tells Jen how she felt when she first met Keith Urban.